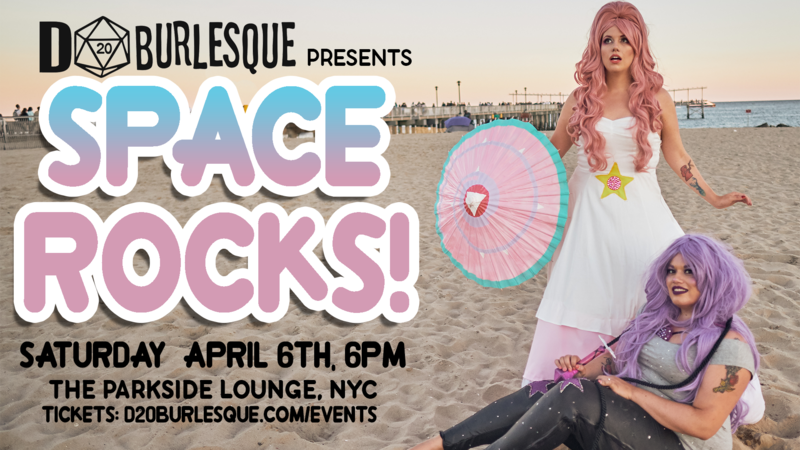 D20 Burlesque presents Space Rocks! After a brief hiatus, D20 Burlesque is back with a special drag and burlesque experience to give you all the feels. This tribute show is made of glitter, gumption, and most importantly love. PLEASE NOTE OUR EARLIER START TIME OF 6PM! Comments Off on D20 Burlesque presents Space Rocks!